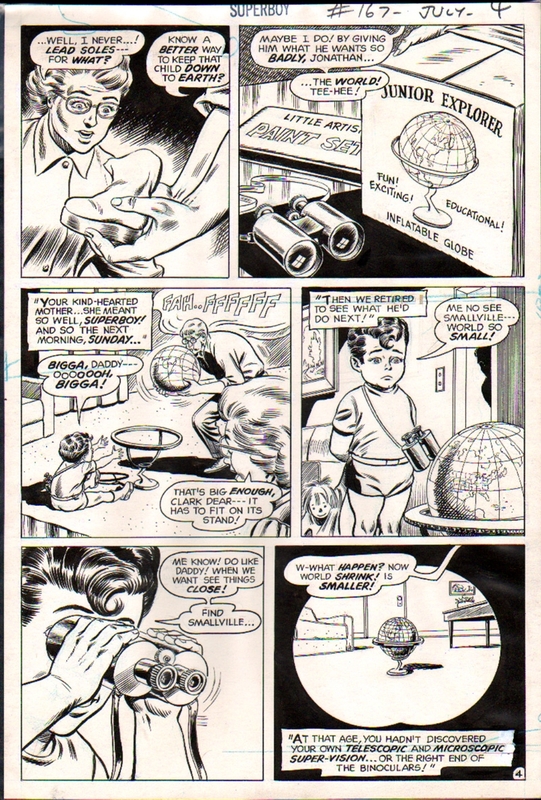 VERY nice 1970 action page from the Super Baby story with Superbaby and Ma and Pa Kent Throughout! Page has FINISHED pencils and FULL inks by the great MURPHY ANDERSON! WOW!